The Family Justice Court can grant four general orders under Part VII of the Women’s Charter. The purpose of such orders is to protect the members of a family from family violence. The Court may, if it is satisfied that family violence has been committed or is likely to be committed against a family member and that it is necessary for the protection of the family member, make a protection order restraining the aggressor from committing further family violence. 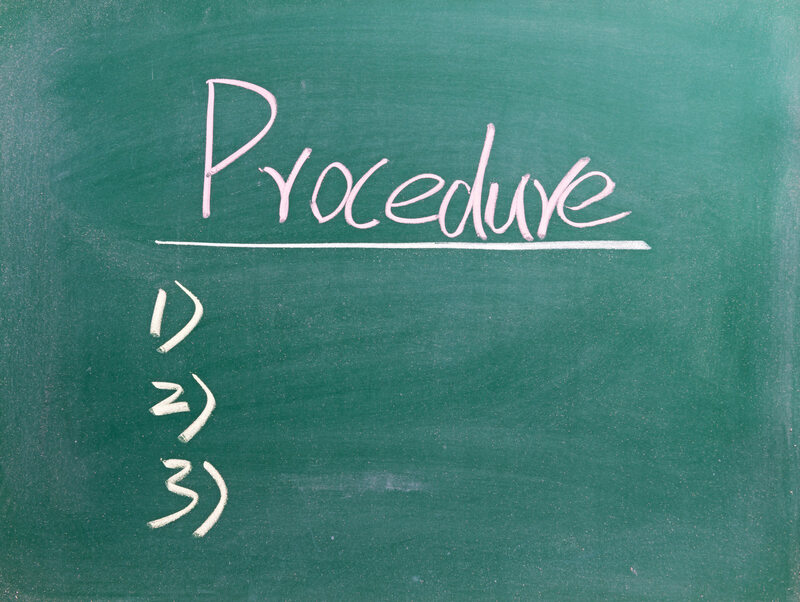 The PPO is only issued after a trial, or if the adverse party consents to the grant of a PPO. 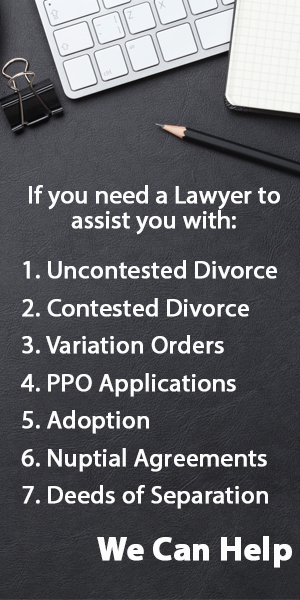 A PPO is necessary for the protection of that family member. The Court may also grant a DEO if it thinks that it is necessary for the safety of the protected person. A DEO gives the successful applicant the right of exclusive occupation to the shared residence or a specified part of the shared residence by excluding the person whom the DEO is made against from the shared residence (or specified part of the residence). For example, a DEO may be granted to the entire residence or limited to the master bedroom and/or the maid’s room. The DEO may be made even if the shared residence is solely (or jointly) owned or rented by the person against whom the order is made. It can sometimes take a few months before a trial for a PPO takes place. This is usually scant comfort to someone who is in imminent danger of family violence. Fortunately, this is exactly what the EO is for. It is an urgent PPO which is temporary in nature and granted by the Court if it is satisfied that the applicant is in imminent danger of family violence. However, an EO cannot be made on its own, without an application for a PPO being made first in the same application. An EO lasts for 28 days from the date it is served to the respondent and the Court has the power to extend the EO if necessary. 2) Protect the victims from abuse and to provide them with help and support. The CGO may be issued together with a PPO. After making the CGO, the Court will usually specify a date in the future to review the CGO. The assigned counsellor will usually provide the Court with a confidential assessment of the counselling which will be taken into consideration when the Court decides whether counselling should continue or stop. What happens if these Orders are Breached? Once a personal protection order is granted, it cannot be breached. Breach of a personal protection order is a criminal offence and the offender may be charged. Under Singapore law, if the offender breaches any orders, he shall be liable on conviction to a fine not exceeding $2,000 or to imprisonment not exceeding 6 months or to both and, in the case of a second or subsequent conviction, to a fine not exceeding $5,000 or to imprisonment for a term not exceeding 12 months or to both. Family law in Singapore permits anyone to make an application for protection from family violence, except where the person is child below the age of 21, or incapacitated. In these situations, either the guardian of the child and the person responsible for the incapacitated person’s care will make the application. What exactly is Family Violence in Singapore? (d) causing continual harassment with intent to cause or knowing that it is likely to cause anguish to a family member, but does not include any force lawfully used in self-defence, or by way of correction towards a child below 21 years of age. 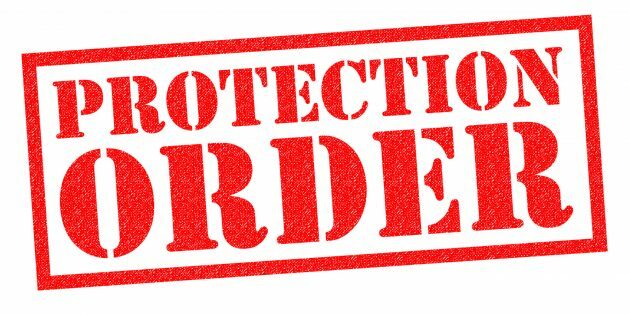 What is the Procedure to Apply for a Personal Protection Order? You will have to fill up a form at the Protection Order Services Unit located at Level 1 of the Family Justice Courts Building (3 Havelock Square, Singapore 059725). To apply for a PPO, you should bring any police or medical reports (evidencing the family violence suffered by you) you have to the Family Justice Courts. However, it is not compulsory for you to have copies of these reports when you apply for a PPO. After submitting your complaint, you will have to file and swear/affirm the complaint before a Judge. A summons will then be issued to the alleged offender. You will need to pay the prescribed fee for the summons to be issued to the alleged offender. After paying the fee, the Court’s process server will then serve the summons personally on the alleged offender at the address you have provided in your complaint. The summons cannot be served on the alleged offender if that person is not in Singapore. After service of the summons on the alleged offender, your case will proceed for mention in Court 1 of the Family Justice Courts on another day and the Judge may refer parties to proceed for counselling. This mention will usually be a short five-to-ten minute affair. If you fail to turn up, your application may be struck out by the Judge. If the alleged offender fails to turn up, a Warrant of Arrest will be issued against him/ her. If both parties agree, the Judge may make grant the PPO on the spot. If there is no agreement, the Judge will then order both parties to exchange affidavits, to disclose the relevant documents, and fix trial dates. Qualified Singapore divorce lawyers will be able to assist you in the preparation of the affidavits. If the parties are unable to resolve their differences out of Court, there will be a trial where the Court will decide if a PPO should be granted. The hearing will be held in open court and will last much longer than the mention. Both parties will present their respective cases and this may take anywhere from a few hours to an entire day or even longer. The Judge will then make the appropriate order after the trial is over. Do you need assistance with Personal Protection Orders? Let us Help. We answer all your queries within 24 hours.